This is a co-authored post by our Casey Schmitt and Rebecca Keyel, a student in UW-Madison’s department of Design Studies. This is a continuation of a two-part entry. See Part I for context. Of the major superhero franchises, perhaps none has been more celebrated as social commentary than X-Men. The X-Men books and films tell the story of genetic “mutants” who are born with fantastic superhuman powers, shunned by greater society on account of their difference. The X-Men, led by the paraplegic telepath Charles Xavier, are “sworn to protect a world that fears and hates them,” often against the militant mutant known as Magneto, who holds ordinary humans at fault for their prejudice. Since 1963, the X-Men have often been touted as an allegory for civil rights and the internal struggles faced in movements to counter prejudices against ethnic minorities, differently-abled individuals, and, more broadly, anyone who feels “different.” The comic books themselves were especially notable for the team’s diverse roster and celebrated storylines like writer Chris Claremont’s “God Loves, Man Kills” and “Days of Future Past” that focused especially on the universal dangers of xenophobic hatred. Rhetorician William Earnest is one of many to trace how the X-Men films have stressed a particular attention to the stories as LGBTQ allegory. He cites the scapegoating dialogue of McCarthy-esque antagonists, conversations between characters about “passing” for normal, and a conversion-therapy mutant “cure” storyline that dominates much of the series’ third film. He also highlights a cleverly worded scene in which a mutant character “comes out” to his parents, to their dismay. The 2011 film, X-Men: First Class, includes not-so-subtle dialogue about mutant “pride” and a joking reference to “don’t ask, don’t tell” policies. 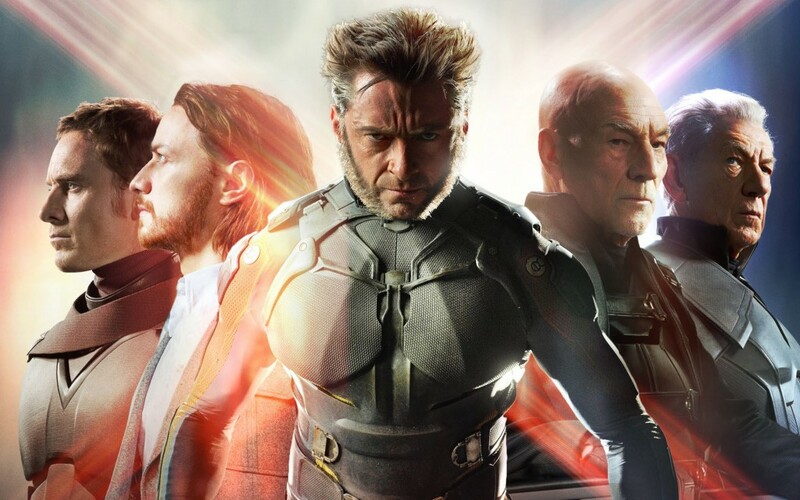 Beyond the screen, gay activist and actor Ian McKellan, who plays Magneto in the films, has repeatedly said he was drawn to the role by director Bryan Singer’s explanation that “Mutants are like gays. They’re cast out by society for no good reason,” while First Class screenwriter Zack Stentz has also stressed that the allegory is intentional. With this in mind, audiences are primed to see the films as social commentary and advocacy. The series’ most recent installment, Days of Future Past, however, gives only slight nods to the LGBTQ theme. The plot mirrors the Claremont story, in which one hero travels back in time from a post-apocalyptic future brought on by the assassination of an anti-mutant demagogue to warn the X-Men of the past of the need to overcome differences without murderous violence. In a broad sense, this narrative is still in place. Yet overall there are many other elements in the film that overshadow this theme and, ultimately, there is very little argument or activism to speak of. Set primarily in the 1970s, the film makes no reference to the very real civil rights campaigns and complications of the era. Beyond this oversight, however, the film really doesn’t forward broader civil rights interests in practice either. 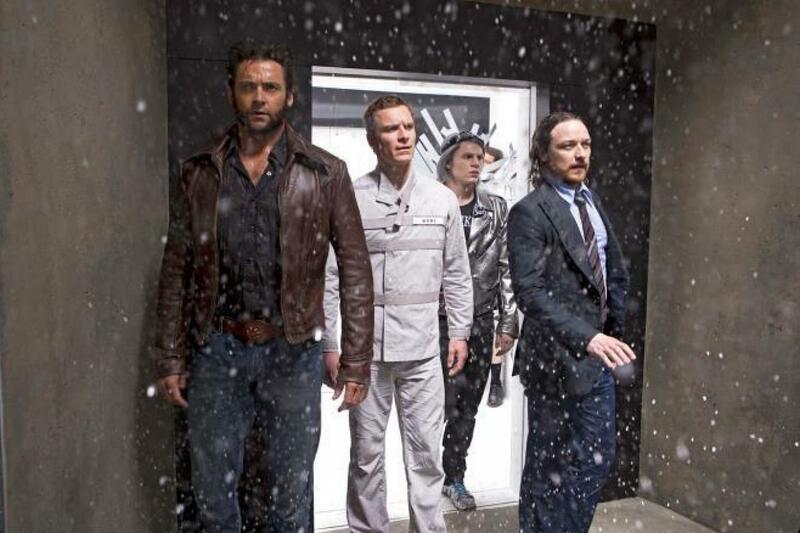 DoFP features an overwhelmingly white, male cast, and all are at least implicitly heterosexual. The one lead female role belongs to the shapeshifter Mystique who represents difference well when in her blue-skinned form but who spends much of the movie with conventionally attractive blond hair and blue eyes. Women and ethnic minority characters—crucial to the original Claremont telling of the tale—appear in supporting roles with very little dialogue, and are mostly killed off in the film’s climactic scenes. The central characters of the film are the archetypical action hero Wolverine and Xavier himself, though Xavier’s handicap is removed for the better part of the story. The central allegory seems no longer to be one of social activism and civil rights, but of a single white man’s struggle with his own lost sense of masculinity and self confidence. These changes are subtle, but for all the celebration of X-Men as minority allegory, the film is still very much about the concerns and actions of white, straight men. Would it have been difficult to write a script or cast roles that included a greater spectrum of ethnicity, gender, and physical abilities? No—though it might have worried studio executives. That is, for all the talk about social commentary and hidden rhetorics, these films are still designed to make money and to avoid alienating audiences by pushing partisan issues. So are these films rhetorical? Well, yes, but not nearly as “revolutionary” as they might be. Imagine an X-Men movie with a young female minority traveling back in time instead of a middle-aged white man. Imagine an X-Men movie in which the team is made entirely of women, or one that features gay marriage as its central plot point. The comics have done all of these things. And even they haven’t changed the world but, rather, echoed the public sentiments already at play in American society. The same might be said of Captain America, who of course sticks up for American ideals by rejecting overreaching government surveillance, but does so by fighting against Nazi infiltration and allying with morally ambiguous super-spies. The social commentary is perhaps palpable, but it’s also fairly elementary and ultimately secondary in purpose. As lifelong comic book readers, we’re glad to see some of our favorite characters being embraced by world audiences and we’re glad to see their stories told in fun and creative ways, but we caution against celebrating Captain America and Wolverine as real champions of social change. The actual heroes are out in the streets, stomping the pavement, and making more regular, explicit challenges to the status quo on a day-to-day basis. Your mild-mannered social activist doesn’t even need a cape. This post is a two-part, co-authored post by our own Casey Schmitt and Rebecca Keyel, a student in UW-Madison’s department of Design Studies. 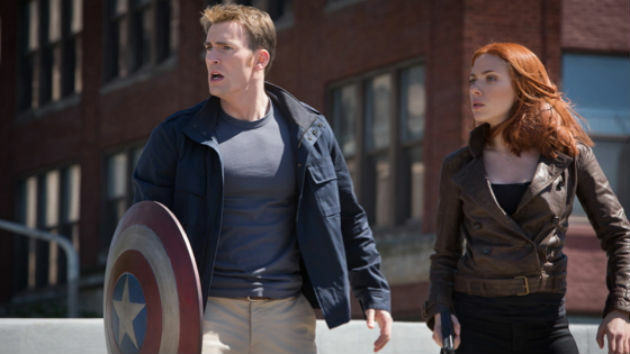 Chris Evans and Scarlett Johansson as Captain America and Black Widow. Image from Marvel Studios. It’s a bird! It’s a plane! It’s a complex allegory for modern American social conditions! Or, maybe, it’s just some dude in a cape. As fans of some of these films and their characters, we found this emphatic turn in public conceptions of the superhero intriguing. Certainly these stories have political overtones and allusions. Even if unintentionally, as mere products of their place and time they might comment on dominant social concerns and conditions. Yet we wondered how prevalent these elements of social commentary actually were in the films. That is, while these so-called “hidden rhetorics” may have critical social qualities, are the films themselves actually as “revolutionary” as some reviewers have claimed? A quick glance at two recent blockbusters provides some perspective. Captain America: The Winter Soldier is tangentially a sequel to Captain America: The First Avenger, part of what Marvel calls Marvel Phase 1, the set of films that led up to the release of Avengers in 2012 and went on to break a number of box office records. Winter Soldier follows the super-heroic Captain America and Black Widow as they discover the intelligence organization they work for—known as S.H.I.E.L.D.—has been compromised by Hydra, a Nazi offshoot originally founded by the fist film’s villainous Red Skull. Captain America comics have long commented on social issues—in fact, the original stories were published in part to encourage U.S. entry into World War II—and, while their “hidden rhetoric” critiques have not always been nuanced or successful, Winter Soldier follows suit by engaging a number of contemporary political topics, most notably personal agency and privacy. Within the film’s narrative structure, the implications of this kind of power in the hands of an “evil” organization like Hydra are obvious. The film’s protagonists understand just how dangerous that ability is and must take down the system before Hydra can activate it. The story, for many viewers, echoed public concerns about NSA surveillance, drone strikes, and the potential for U.S. government agencies to infringe on citizen privacy in the name of security, law, and order. The more subtle commentary of the film concerns the choices an individual makes, and the film engages with these issues on multiple levels with multiple characters. While Winter Soldier isn’t the first film to engage with issues of surveillance and “big brother,” or even the first superhero film to use surveillance as a plot point, it takes a particular stance against using surveillance on an unsuspecting population. The crux of the film’s plot is the threat to the U.S. population and the fact that an individual’s electronic records were what made them targets for assassination. The individual choice to commit or not to commit a threatening act was circumvented by the potential threat they represented. The choice to act or not and the absence of choice is what makes the film’s “villain” and eponymous character—the brainwashed assassin known as Winter Solider—ultimately sympathetic. Hydra and its scientists remove his sense of identity and his agency. He is prevented from making any choices of his own and is actively turned into a threat to others. In contrast, in the film’s climax, the Black Widow character actively chooses to give up her privacy and the secrecy of S.H.I.E.L.D.’s files by uploading them to the Internet, a la Wikileaks. However, in releasing her secrets, she also releases sensitive government information to the wider public, potentially compromising national security. She’s allowed that choice, but she takes the choice away from those others who are potentially impacted by her actions. In a film like Winter Soldier, thus, superhero exploits seem to mimic popular sentiments and champion a social cause, but in sometimes muddy, inexact terms. In part two of this post, we consider another superhero film to demonstrate that the social activism of the superhero movie is not always as potent as it may at first seem. See Part II for conclusion. This post was co-authored by Ashley Hinck and Judy Y. During January 2014, China and Japan continued their recent criticisms of each other’s regional policies. But this time, they took a different approach: Harry Potter metaphors. 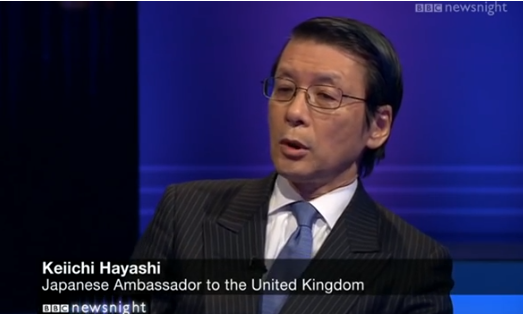 Hayashi ends by calling for dialogue between China and Japan. While it may seem funny to hear Harry Potter references in serious, carefully planned diplomatic discourse instead of conversations among 12-year olds, China and Japan’s references to Voldemort are in fact quite serious and strategic. First, Harry Potter references work to gain the attention of a Western audience. For them, the Harry Potter metaphor is familiar, even if the detailed regional history of Asia is not. By calling Japan Voldemort, and the Yasukuni Shrine a horcrux, China offers a simplified version of the bitter history between two nations. Since the territory dispute could be traced back to the mid-nineteenth century and the history textbooks in either nation fail to reflect the entire truth, a reference to the world’s most popular fantasy novel saves a tedious record of time and events and easily appeals to Western audience. 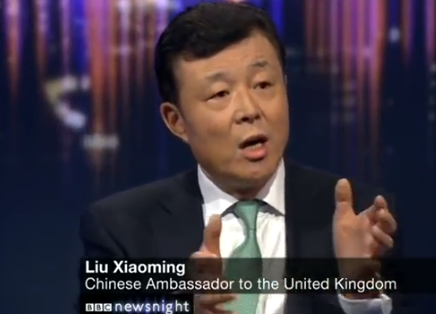 Liu’s op-ed virtually repeats the major arguments in China’s previous diplomatic discourse. 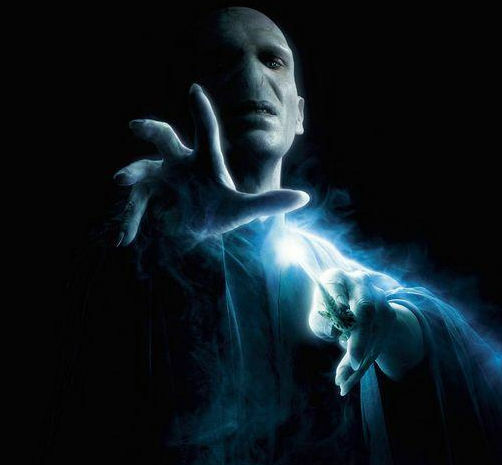 The Voldemort metaphor, however, marks a new rhetorical style in contrast to the conventional dry and dogmatic statement. This strategy not only justifies China’s claim to the sovereignty of the Senkaku Islands by reminding the world of Japan’s brutal invasion in WWII, but also argues that Japan’s intent is to take over the world. Voldemort’s goal throughout the Harry Potter novels was to gain complete control over the wizarding world through any means necessary. Each time Voldemort was killed, a horcrux would allow him to begin his evil plan again. China argues that Japan’s militarism is just on the horizon. Calling the Yasukuni Shrine a horcrux indicates that Japan has not fully repented her sins in the past and the enshrining of convicted war criminals would re-open the door for Japan’s militaristic actions. Japan also picked up the Voldemort metaphor to develop her own version of Sino-Japanese relations. In response, Japan refutes China’s claim that Japan is Voldemort and instead argues that China is actually adopting Voldemort’s evil goals. Hayashi seeks to redefine Voldemort’s most important characteristics, shifting from the presence of horcruxes, to an escalation of conflict at the expense of dialogue and democracy. Hayashi asserts that militarism is a ghost, not a horcrux: it might be haunting, but it cannot come back to life. Second, China and Japan’s Voldemort references serve to identify the other as “evil.” In China and Japan’s references to Voldemort, they adopt a level of discourse that assumes that the other is completely evil, with no reason to trust the other side. Consequently, the disagreement over the Yasukumi Shrine or the Senkaku Islands becomes a question answerable only through dichotomies: evil vs. good, right vs. wrong. A discourse reduced to questions of evil vs. good leaves no room for dialogue, compromise, and negotiation. Adopting such dichotomous language demonstrates the increasing tension between China and Japan. Voldemort. Image property of Warner Bros. While such vitriolic language may be typical in domestic media and political commentary in each country, such accusations are not often seen in diplomatic discourse. On the other hand, a polarized description of the world and constructing an evil other as the enemy are common strategies in war rhetoric. Targeting an international rather than a domestic audience while using this type of rhetoric indicates that both China and Japan urge their audiences to take sides. The stakes in the dispute are high for both Japan and China. Both nations are seeking to break the restrictions caused by post-war geopolitical structures. Japan attempts to revise the Peace Constitution and achieve normalization of the army. China hopes to break the First Island Chain to acquire more freedom along its coastline. For Japan, the normalization of the army is like a closure of the past, while China seeks the start of a new future. Calling the other side evil justifies each country’s geopolitical goals. At a time when both Japan and China are looking to gain support from the international community, convincing Western audiences may be an important goal. Ultimately, the question becomes, why aim to reach Western audiences by using evil vs. good language? We believe there are at least two reasons for this choice. First, they might have learned it from the West. If George W. Bush could successfully wage the war against terrorism through an “us vs. them” argument, why can’t an East nation use a similar strategy? Second, historically, both China and Japan have been portrayed as a threatening evil power to the Western audience, and especially American audience. Invoking the public memory of a Pearl Harbor Japan or a Communist China would push the United States to take a side in the dispute. Whichever reason, it is clear that Western audiences may be hearing more from China and Japan in the coming months. Who knows—we may be hearing about metaphors from The Hunger Games next. This summer, Vitamin Water and CollegeHumor released the above video, “Subway Bragger,” as a part of the water brand’s new #makeboringbrilliant advertising campaign. The idea, of course, is that water on its own is boring, but Vitamin Water has made it “brilliant” through the addition of tasty flavors and vitamin supplements. “Subway Bragger” is part of a series of online videos in which panhandling joins waiting rooms, airplane delays, a natural history museum tour, and more, as the “boring” to which Vitamin Water adds flair. Online response to this panhandling “prank” on a Philadelphia subway train has been mostly positive. GOOD magazine and Philly.com call the video “hilarious,” Policy Mic touts it as an “awesome performance,” and inspirational website Upworthy says that while being “pretty hilarious,” the video “teaches a little lesson on not being so quick to judge people.” The Huffington Post featured the clip in its comedy section, and explained that the people on this train were “delighted” when this panhandler “flipped the script.” Interestingly, the only negative responses I have found to the piece have come from the advertising community. AdWeek’s David Kiefaber wrote, “maybe a sugar-water brand’s energy would be better spent actually helping the homeless [rather] than making fun of them,” and the AdRANTS blog questions the marketing value of a video that “makes light” of homelessness. To call panhandling — and by implication, poverty — “boring” isn’t just to minimize the struggle of millions of people who experience homelessness in the United States each year. It also speaks to the ease with which so many Americans allow visible poverty to become an (effectively) invisible part of the urban background, as natural as the honking of horns, the smell of the subway station, or the changing of traffic lights. To pass someone in need has become mundane, and that is what allows Vitamin Water to place it in the same campaign as the boring waiting room ad. I would argue, however, that the script hasn’t actually been flipped. Instead, I think the presumed panhandler simply moves from one stereotype of black masculinity to another. Rather than serving as the poor black man, as the audience anticipates, he serves as the black comedian. A number of scholars (including for example, Patricia Hill Collins and Donald Bogle) have explained that black men who wish to avoid being freighted with images of poverty and criminality in the media have few options, but an ability to entertain is one of them. Humorous black characters like those played by Chris Rock, Tyler Perry, or Bill Cosby are “acceptable” black men who appear “safe” (i.e., not criminal, not poor) so long as they don’t challenge existing race norms. As the man in this video moves from presumed panhandler to subway car entertainer, he does not escape the social categories that guide the ways that Americans (white Americans, in particular) interpret black male identities. The script isn’t flipped; it just shifts. Vitamin Water is not just selling water with the “Subway Bragger.” It is also marketing narratives of race and class. Rather than challenging viewers’ perceptions, the video’s humor reinforces their beliefs about both poverty and black men in America. Click the link below and send a blank email to join Rhetorically Speaking's email list. You will receive a verification email to confirm your address. Emails will be sent automatically when a new post is published. © 2013 The Board of Regents of the University of Wisconsin System · Theme: Pilcrow by Automattic.